The last two days I was busy oiling and finishing the dresser for our living room, so there will not be a real post today. Hope I will be back on track on Friday. 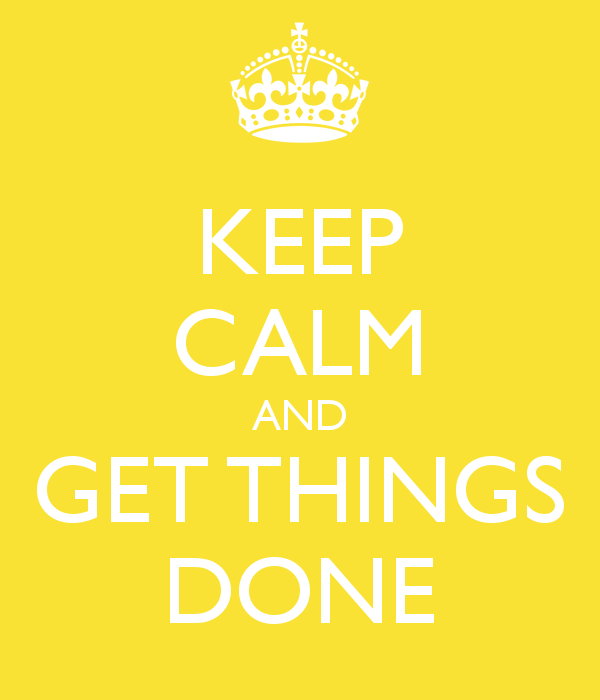 I am trying to make Keep Calm and Get Things Done my motto for the rest of the year. It feels so good to cross things off the list, especially when they have been on the to-do list for so long like the dresser. It took me two years to finish it. Actually it is not fully finished yet, I still have to polish the hardware and we have to carry it to its final location in the living room. There will be a post about the whole process and the new set up in the living room soon. Happy hump day everyone! I'm expecting you to have arms of steel after all the sanding and work you've done on your dresser - can't wait to see it! Great quote .. mantra to chant to every day (hmm, every second). Looking fwd to seeing the dresser.